Online therapy has been gaining in popularity in recent years thanks to the convenience of this model as well as the successful results that patients have been able to achieve. If you are considering whether online therapy would be a good solution for you, some of these advantages just might push you over the edge. Online therapy allows patients to maintain their regular schedule of appointments no matter where they are located. Instead of having to squeeze in travel to another appointment on your schedule, you can manage your online therapy appointments around your otherwise hectic life. This means that you will be more likely to continue with regular sessions as recommended. 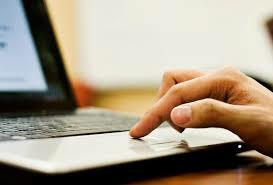 In addition, the convenience of online therapy is great for patients with limited mobility or who live in remote areas. For patients who might be too embarrassed to visit with a therapist in person, online therapy provides an avenue that is perceived as more private. You can attend sessions from the comfort of your own home. By working with an online therapist, you do not have the same geographic restraints in choosing the right therapist for you as if you were meeting him or her in person. This means that you might be more likely to connect with a therapist who is uniquely suited to help you with your particular situation. Often times, online therapy is less expensive than other traditional sessions because it does not require the same logistical costs and concerns. If you are not able to have your therapy covered by your health insurance, you may want to check into whether online therapy could be a more cost-effective solution for you. If your online therapy involves email communications, this may be a more effective way for you to process your thoughts and feelings. The process of having to write down your thoughts can be a very helpful exercise in working through any issues that you may be having. If you do not have to sit across from your therapist in the same room, you may be less self-conscious and more willing to dispense with social pretenses. This can help you to begin processing your issues sooner and finding effective strategies for you moving forward without any fear of judgment.